The Bullet M2 WLAN system is the simplest and cheapest solution to implement PtP or PtMP connections over long distances. The intelligent design and intuitive firmware make installation easy. With the Bullet M2 HP's robust weatherproof design, you can connect an outdoor antenna directly to the N-Female connector and install it outdoors. You do not have to resort to long antenna cables, which means that signal losses caused by long antenna cables are a thing of the past and you have the full power of the antenna and the Bullet M2 HP at your disposal. The Bullet M2 HP has a signal strength indicator which makes it much easier for you to position the antenna. The Bullet M2 HP is connected to your network via the waterproof LAN interface. Despite its sleek design, the Ubiquiti Network Bullet M2 HP is a full-featured WiFi device with great features and impressive performance. It can be used as an access point, WiFi bridge or client. With an output power of up to 600mW, the device achieves ranges of up to several kilometers depending on the connected antenna. The Bullet M2 HP achieves net data rates of 100Mbps. 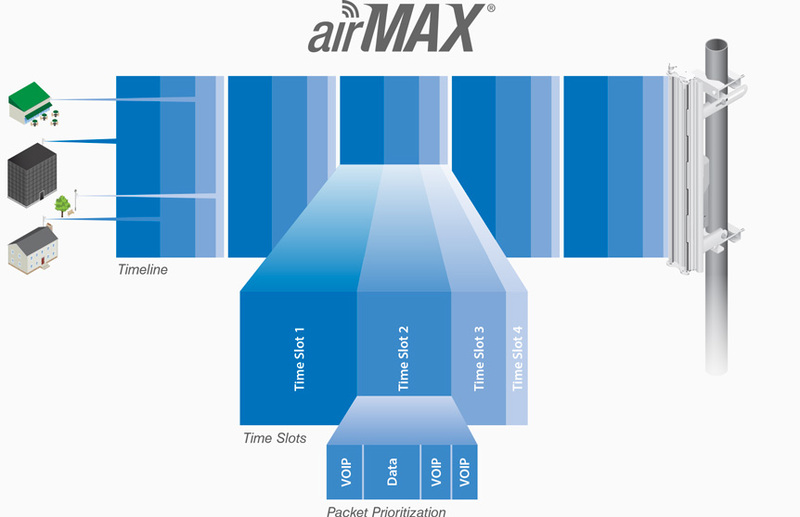 Utilizing Ubiquiti's powerful AirMax technology, the Bullet becomes a TDMA base station. By using different time windows for different clients, the frequency band used is optimally utilized, and in larger point-to-multipoint networks, a faster and more stable transmission can be achieved. Ubiquiti provides the AirOS firmware to control their device. It has been specially developed to remain intuitive to use despite the rich functionality. The AirOS firmware is accessible via a web interface and you do not need to install any additional software on your device. The Bullet M2 HP is powered by Power over Ethernet (PoE). Both the power supply and the network connection for the Bullet M2 HP are provided via an Ethernet cable. This works with a PoE injector (not included). With PoE, you only have to lay one cable for the network connection and power supply, and you are more flexible in terms of cable length.